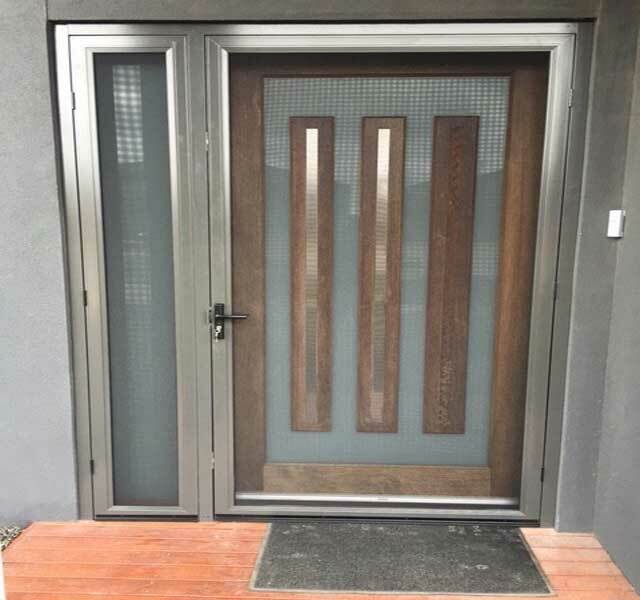 Security doors Melbourne are one of the best ways of adding extra layer of protection for your property and family members. Since the main door forms one of the entry points for burglars it is essential that it fulfills security considerations. A robust and sturdy security layer for the main entrance thwarts burglars from attempting break-ins into your home and thus reduces your concern for protection of your family. Appearance is an important factor while selecting security doors Melbourne for your home. But, here the door appearance should be such that it acts visually unappealing to burglars hunting the neighborhood for easy break-in targets. Main doors that are secured in every aspect act as amazing deterrents and help to obtain discounts from home insurance companies too. This reinforces the fact that burglars often look for targets that offer least resistance to their efforts. Your door may be made of top quality material but it will not serve its intended purpose if it is not combined with a sturdy frame. Frames can be made of aluminum or steel. Steel doors are quoted by industry leaders to be the strongest line of defense against burglars but corrosion-resistant aluminum doors also fulfill the security objective. There should be a good connection between the key section of the frame and receiver channel. This will prevent the door’s edge from being easily pulled out of the frame. Sometimes internal corner stakes are attached to doors which are not visible to the common eye. A better option is to have the corner joints fully welded. Extra security factor can be added to your door through varied accessories available in the market. Peep-holes, deadbolts, door chains are just some of them which help to reinforce your security door. Other options include steel bars, grilles, motifs, steel mesh, structural perforated sheets made of aluminum which act as robust systems. There are several companies that offer security doors that are touted as strongest but in reality are made of press-wood or ply. These are to be avoided at any cost as they will not be able to withstand stress of any kind. Good door companies carry a wide selection of accessories and parts. Availability of broad choices will enable you to enhance style quotient for your security door. Designer levers, latches, knobs or sophisticated ones that come with high-tech security passage control features are some items that help to enhance the style and function of the doors. With the wide variety available in the market it is essential for you not to get overwhelmed and confused while making a choice. Be informed on the varieties available and get one from a reputable dealer. So, protect your home with security doors Melbourne that will last for years to come!